The Rob Allen Railgun is the ultimate in speargun technology, offering a powerful, fast, well balanced rig with the added bonus of being streamlined enough to appeal to those who prefer to hunt their fish at greater depth or in adverse conditions. Rob Allen now introduces the Vecta, a new state of the art gun handle. The Vecta is the result of three years of research and development into creating the ultimate speargun trigger mechanism and grip. This development is set to elevate the status of Rob Allen's core piece of equipment, the Railgun, to an even higher level. The result of all this engineering is the Vecta, the strongest, smoothest and most robust mechanism available. 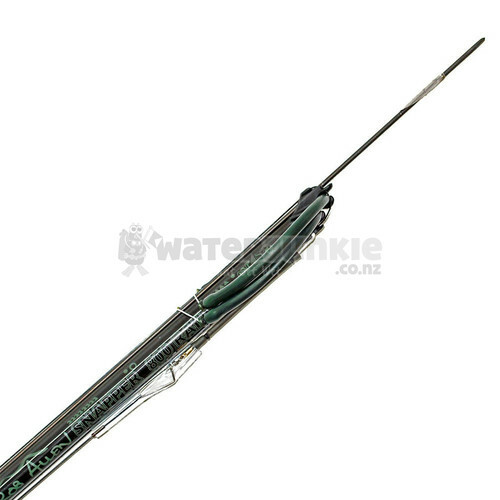 Railguns are unique in the sense that they have an extended "rail" incorporated into the aluminum barrel for the full length of the shaft. 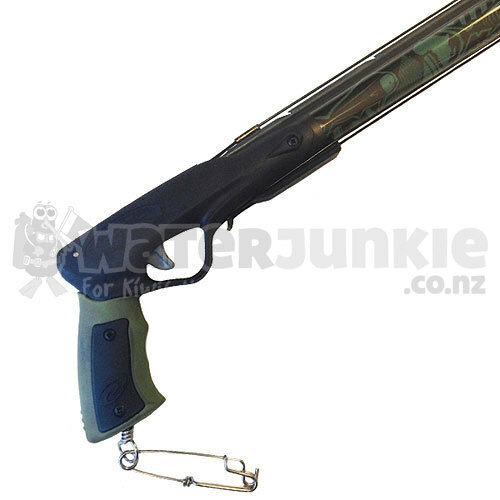 This rail supports the spear the full length of the barrel and continues on into the muzzle. The rail barrel tube is also much stiffer and stronger than a normal tube because it is thicker-walled and has a slightly bigger diameter. The integrated rail adds further strength. Rob Allen also uses aircraft grade aluminum when the barrels are extruded. This gives the barrel even better strength and stiffness, enabling it to handle strong rubbers and be used in longer lengths without flexing. It is essentially stronger and stiffer than wood of the same diameter. 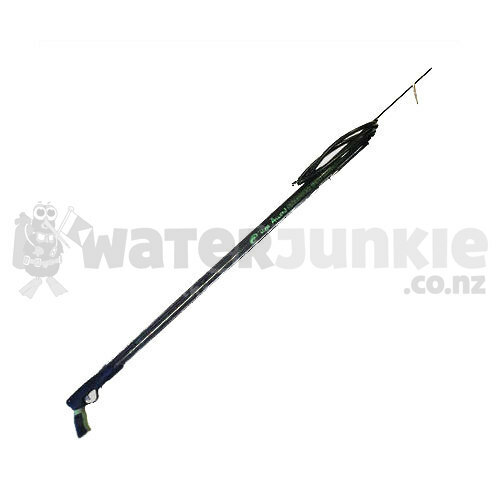 The Snapper 120 is 1.2m in length and features 2 9/16"(14mm) bands, and a 9/32"(7mm) Shaft. For a gun this length the 2 x 14mm bands make it incredibly easy to load and give it more power than a single 20mm band.